Lately, 2Chili has been into having a big salad for dinner, which has thrown my lunch routine off kilter a bit. I like my salads, but two per day was just too much salad, and I have been changing up my lunch routine a bit as a result. I started making wraps on gluten free tortillas, and anyone who has used a gluten free tortilla knows this is a futile exercise! Tortillas need gluten to be pliable, and my wraps were dry and fell apart when I rolled them. After a few days of this, a light bulb went off: Collard greens. 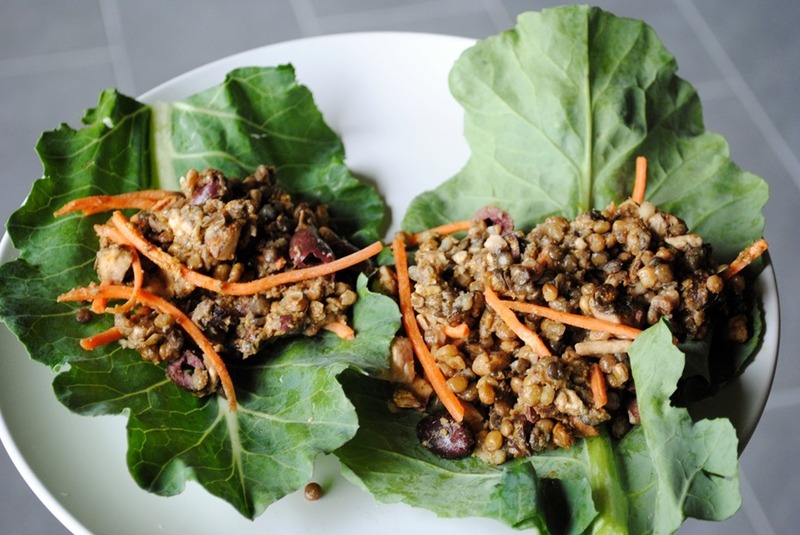 Raw collards are durable, pliable, and easily roll, making a nice wrap. 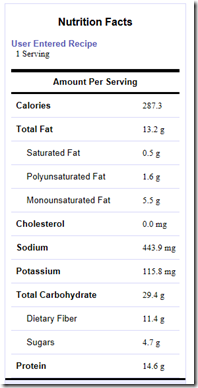 They also have lots of nutrition and don’t add many calories, like a traditional tortilla or wrap. 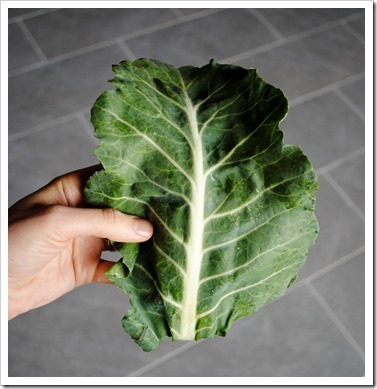 While I’m not fond of southern-style collards, I do enjoy them raw. 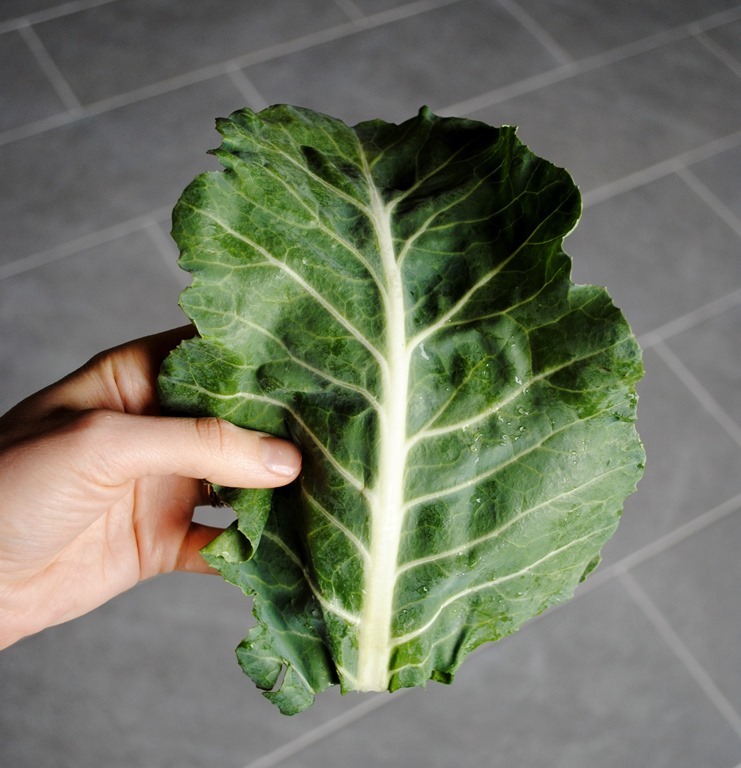 Collard greens are high in vitamins A, C, and K, B-complex vitamins, and are a good source of minerals like iron, calcium, copper, manganese, selenium and zinc. 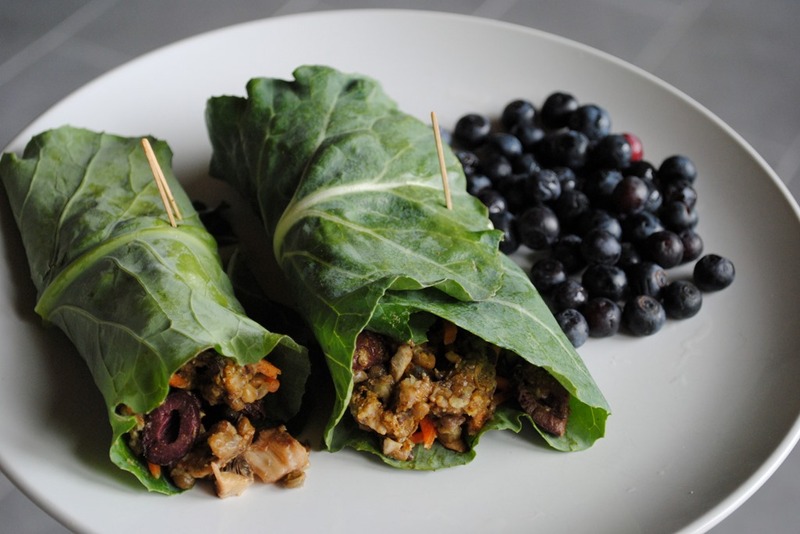 These green gems are truly good for you! The filling for these spring roll type wraps came together a bit by accident. 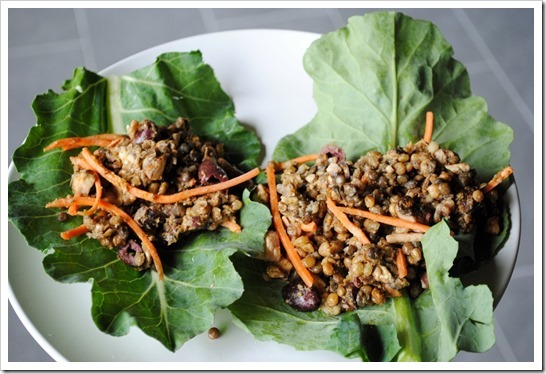 In my original wraps, I’d been adding lentils, mushrooms, olives, and shredded carrot, but it was messy because the ingredients didn’t bind together. I realized almond butter would help everything stick together and also add a nice flavor. So, I give you what may look like an odd array of ingredients, but actually is quite tasty and filling! You’ll notice in this photo that I placed the mixture in the collard leaves the way they wanted to naturally wrap. They will have a natural curl, so take care to place the filling in on the side that is already tending to curl for easiest rolling. I make my lunch in the morning, so I just roll these up and wrap in plastic wrap for easy portability. 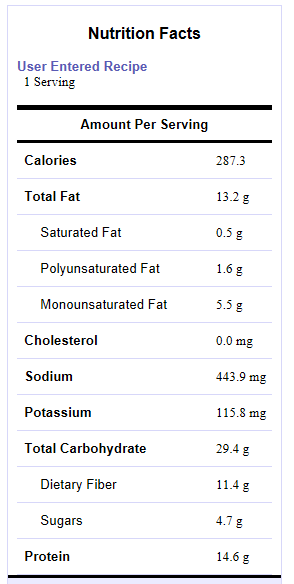 Based on 1 tablespoon of almond butter. I just discovered your blog site a few days ago while researching the NMKS, which I just ordered from the Ninja site….it’s on back order 🙁 . Anyway I also just ordered your E-book and have perused almost every one of the recipes…..can’t wait to get my Ninja! 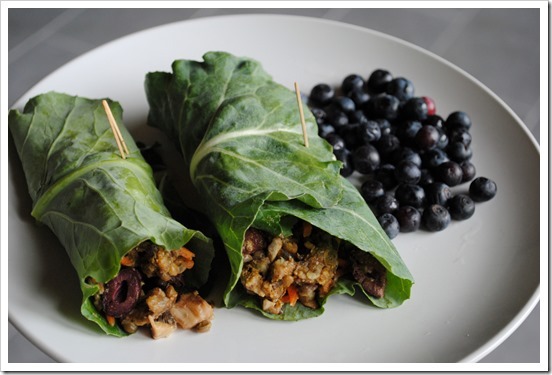 I love this idea of making a wrap with the collard leaves. Unfortunately I recently turned my fall garden under,so all the collards are gone (except for the ones we cooked and put in the freezer. My wife and I are really looking forward to this fall when we will surley try this AND brocolli AND cabbage leaves :). Thanks for your great site and all the time and help you give so others can enjoy good nutritious eating! Thanks for your nice note! I have heard from a lot of folks that the NMKS is on backorder, which is probably because they had a huge sale going. I saw even Amazon is out of stock right now – crazy. It’s worth the wait, but hopefully you won’t have to wait too long!